Apple officially launched the iOS 12.1 update after the launch on October 30, and a week later, Apple released a special iOS 12.1 update for the iPhone XR on Wednesday. IPhone XR users who have not yet installed iOS 12.1 can upgrade by setting generic software updates. The version number of the new iOS 12.1 software for the iPhone XR is 16B94, and no updates appear on the devices installed with iOS 12.1, which indicates that the updates are for users who have not yet upgraded the iPhone XR device to iOS 12.1. The reason why Apple released an updated version of iOS 12.1 for the iPhone XR is unclear, but it is likely to include minor bug fixes. IOS 12.1 is a major upgrade of iOS 12 system. It brings many new functions to the iPhone XR, including real-time depth of field control, improved cellular mobile network connectivity and so on. It also fixes some vulnerabilities found in iOS 12, such as fixing the photo taken by the front-end camera of the iPhone XR, which is not always the clearest choice. Reference frame problem. 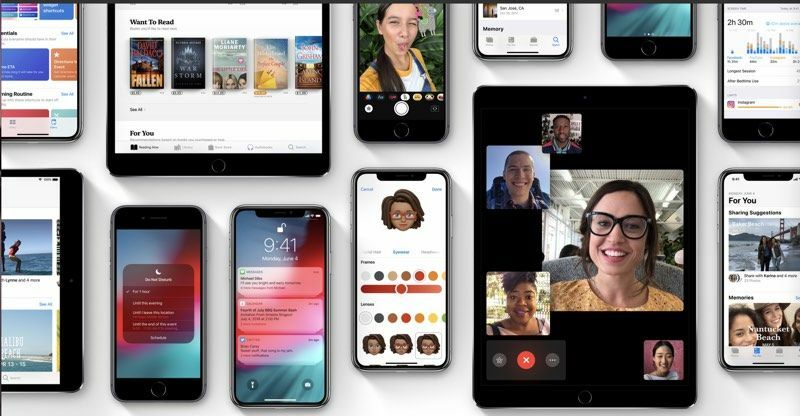 In addition, iOS 12.1 updates have added more than 70 emoticons, and fixed voice mail, phone applications, screen usage time, family sharing and other issues.